One of the things I like about writers who set their works in the future is that they are essentially allowing the reader to be a time traveler. 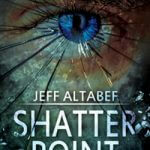 Shatter Point by Jeff Altabef does this. I’m not talking doom and gloom apocalypse or rocket ships and teleporting, but rather a glimpse of a possible future. All of this is done in a nicely packaged murder mystery that will leave you guessing as you work your way through it. Shatter Point gives us several key players – Maggie the focus of a psychopath’s attention, her sons, Jack and Tom who are determined to save her, Darian, the brilliant doctor who is researching just how to help the human brain heal and, of course, Cooper, the psychopath. Each of the key players begins on a path that is their own. Maggie’s and Cooper’s paths starts decades past. Jack and Tom’s is more real time as the book unfolds. The Doctor’s story goes back to shortly before the main timeline of the book, but ultimately the storylines collide into a big reveal. It did take a bit for the book to get going. There are a lot of characters and it took some work to sort them out; however, once the timelines converge, things become easier to follow and the book moves along at a nice clip. By setting the story in the future, Altabef has the ability to create a world, that while only bearing shades of ours, could easily be a possibility for us. This, in my opinion, is the book’s strongest attribute. For me it allowed me to ask the question, “What if?” and to ponder a reality that could be. The world that is created is not quite dystopian, but there are clearly the haves and the have not’s. The classes are more divided and there is a greater cultural split in society. However, there was a point of confusion here for me. The author’s prior book, The Fourteenth Colony, is referenced in part in Shatter Point. Some of the references made me feel I was at a loss not having read the prior book, but in full disclosure what the author may have been doing was a little shameless self marketing as I do have to admit I’m intrigued about the prior book. Overall Shatter Point has a good plot (though it does take a bit to get it up and running), interesting characters, nice suspense, action and a dabbling of pretty scare (perhaps freakish) suspense. I would say fans of dystopian literature, thrillers, murder mysteries and suspense would find Shatter Point a good read. That’s it! One random commenter during this tour will win the first gift card. Visit more blogs for more chances to win–the full list of participating bloggers can be found HERE. 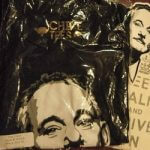 The other two prizes will be given out via Rafflecopter. 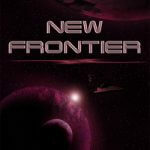 You can find the contest entry form linked below or on the official Shatter Point tour page via Novel Publicity. Good luck! Get Shatter Point through Amazon or Barnes & Noble. About the author: Jeff Altabef lives in New York with his wife, two daughters, and Charlie the dog. He spends time volunteering at the writing center in the local community college. After years of being accused of “telling stories,” he thought he would make it official. He writes in both the thriller and young adult genres. Fourteenth Colony, a political thriller, was his debut novel. 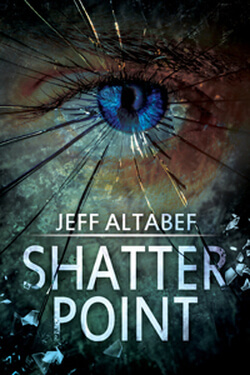 Shatter Point, a psychological thriller, is Jeff’s second novel. Jeff is under contract with Evolved Publishing for a YA/Fantasy series he is co-authoring with his teenaged daugher. The first in the series Chosen: Wind Catcher is set to be releasded in March. As an avid Knicks fan, Jeff is prone to long periods of melancholy during hoops season. Jeff has a column on The Examiner focused on writing and a blog designed to encourage writing by those that like telling stories. Connect with Jeff on his website, Facebook, Twitter,or GoodReads..